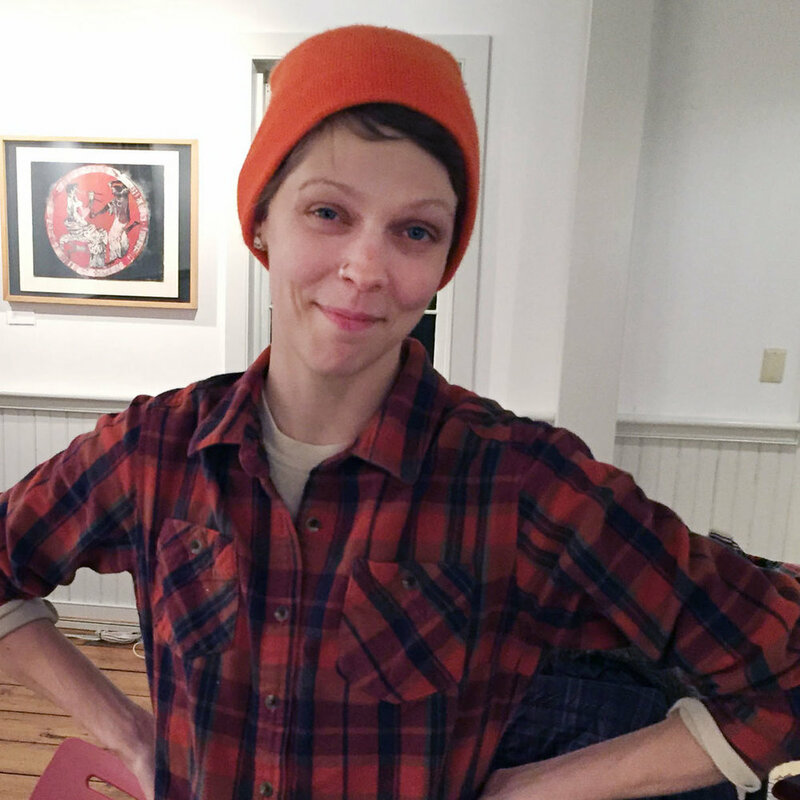 Cheyenne Mallo is an accomplished potter, a committed hiker, and a lover of maps. "I am very interested in the translation of a three-dimensional landscape into a two-dimensional map and back again to a three-dimensional form. The challenge for me is to apply my ceramics studio practice to my hiking. I think it's really important to tie what you are doing in the studio to something that's real to you. Its more legitimate if you have a relationship to it. So for me it became a way to remember these specific hikes that I’ve been doing and to share that concept with other people. I'd like to inspire people to get out and take that hike on the Devils path, for example, or to give them a way to remember the hiking experience they’ve had." "The trails are represented in different ways, some showing one peak whereas others, like the Devil's Path, will show you six peaks. Sometimes they are showing you a larger area in the Catskills and you can pick and choose what paths you want to hike or climb. The trail icons on the mugs reference the icon you can find on the maps. Green Cottage specifically wanted paths that are closest to them so I’m giving them mugs that focus on the Minnewaska area." Other of Cheyenne's commissions are for hiking trails all over the Hudson Valley. She has even had requests for mugs representing trails on Mount Rainier in Washington State, and that's quite a hike. What is she working on presently? "There are five fire towers in the Catskills and I’d like to turn those into a mini series on mugs. I’m working on some new hand-built plates and I’m also working on canteens and flasks, which I’ve done a lot of lately. Its a nice way to celebrate when you’ve summited something, you might bring a flask with a little something in it so you can take a sip. We did it!" Cheyenne has set herself the goal of hiking all the trails in the Catskills. "The Catskill Mountains have 35 peaks that are at least 3500 feet in elevation or higher, some of them bushwhacks. I've hiked 22 of them so far and I will probably make mugs out of all of them!" 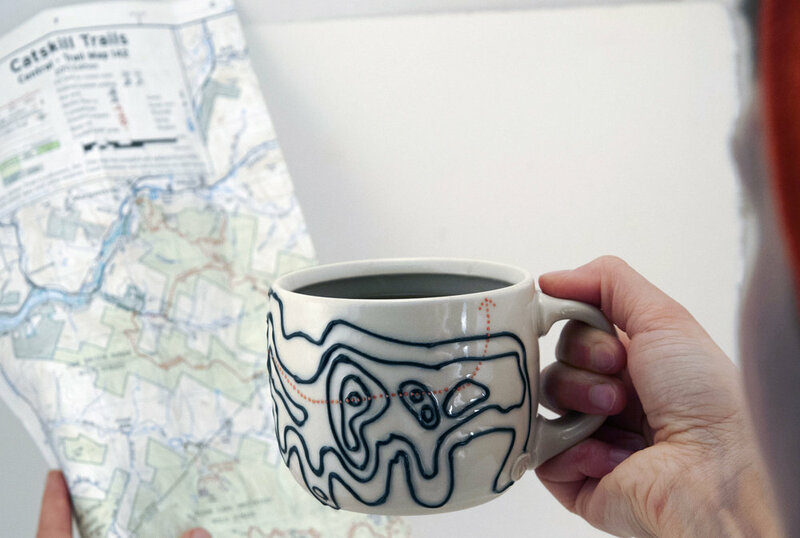 So hike on over to the Green Cottage and inspire yourself and others with Cheyenne's beautiful map-mugs. Minnewaska maps have never looked so beautiful.